I decided I wanted to do a 12 days of Christmas blog “series” but wanted to do something kind of different so I thought I would post the lyrics to 12 of my favourite Christmas songs which is hard to do because there are so many good ones but I’ll try to pick a bit of a variety. I will post a song each day starting tomorrow (December 14th) until Christmas Day. Christmas is soon! On Monday I will explain what I am going to do for the 12 days of Christmas on my blog but I’m hoping it will help get us in the spirit of the holidays. 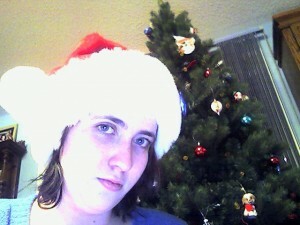 So starting Monday, December 13th, 2010 check my blog daily up ’til Christmas day. Happy holidays everybody!